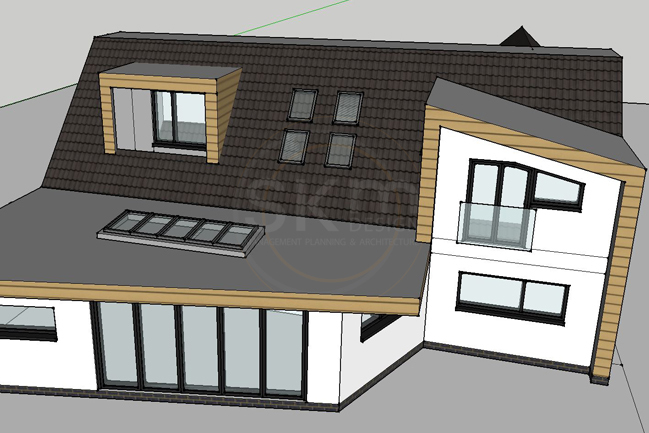 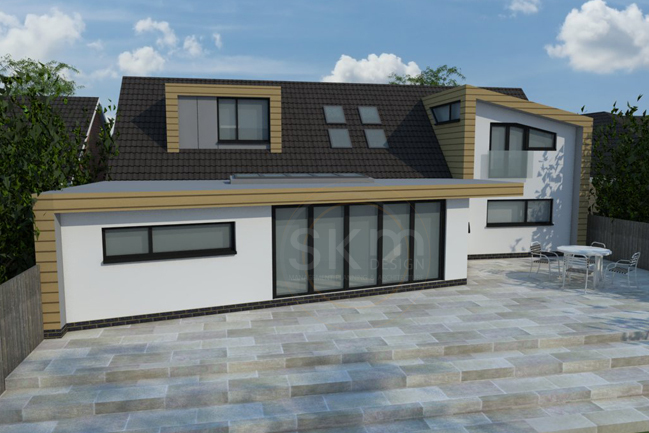 A very contemporary front and rear extension design for a growing family, fulfilling their lifestyle needs in a modern shell. 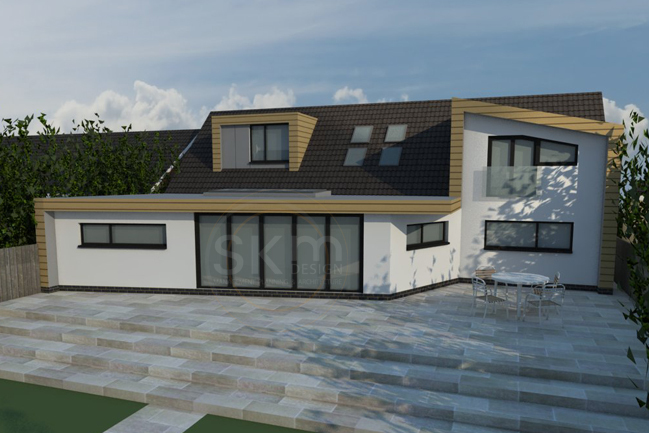 This concept is a complete refurbishment of the property’s entire appearance. 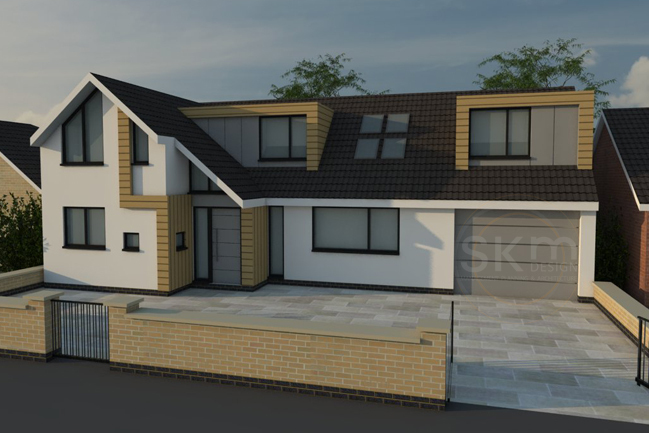 The transformation included materials such as a vibrant timber-effect cladding, dark contrasting window frames and a white rendered finish, giving the property a new visual language and making a bold statement on the street scene.